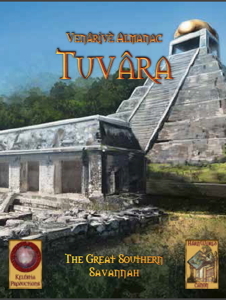 Keléstia Productions are pleased to announce the publication of our second Venârivè Almanac product: Tuvâra - the Great Southern Savannah. 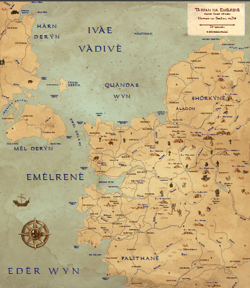 We are pleased to be able to provide a 'poetic' map of Emélrenè and the surrounding regions, as drawn by the loremaster (rowánti) Fástred of Beréma. 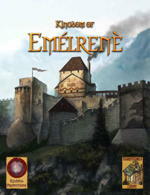 This free expansion complements the Kingdom of Emélrenè and Emélrenè Regional Map products. a single-layer PDF map with certain information not displayed, principally the names of 'special' and minor locations. a multi-layer PDF map with all information available via PDF layers, including a grid overlay. We hope that Gamemasters and players both find this a useful tool in playing in Emélrenè. 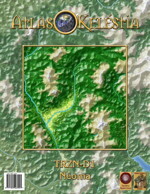 A supplement to the Kingdom of Chélemby module, which gathers together information on the various Chéler tia-nalâri (noble clan) alliances and feuds. This information will be further developed in the forthcoming Chélemby Clans and Folk.